Live digital TV streaming, Spotify, FaceTime, Instagram and using your mobile phone as a Wi-Fi hotspot to your other gadgets. They all need power and it drains your batteries fast, plus modern mobile phone specs are now faster making it even more power hungry. We need quick, safe, and reliable power bank, cables and car chargers that can sustain our digital age lifestyle. It's a good thing we can ensure that our gadgets can always be fully charged and have reliable cables with Digital Walker's latest line, XPower. 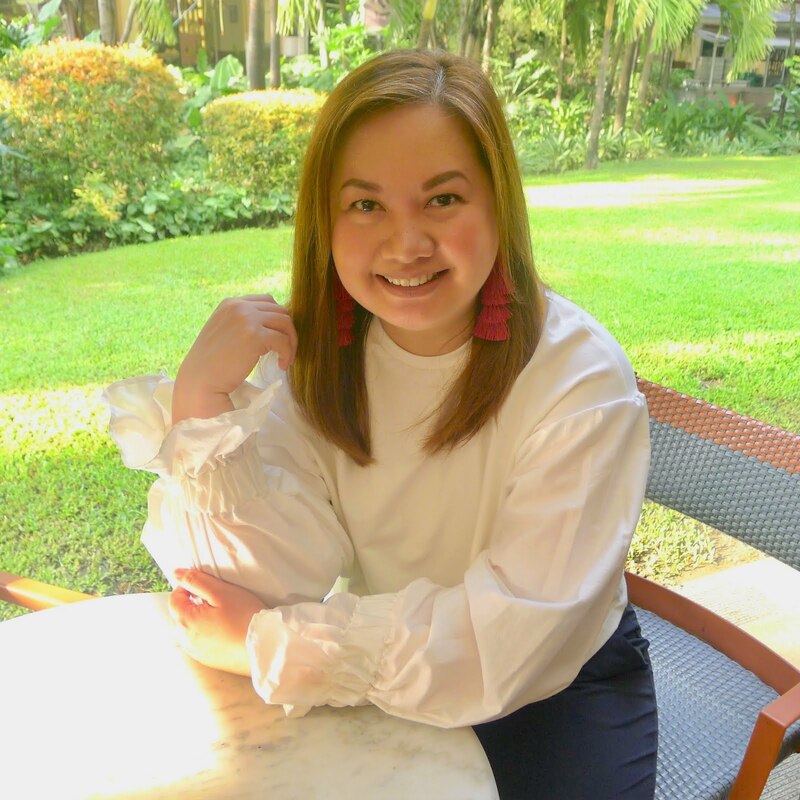 Their products come in four major categories based on the high power demands of their customers, from powerbanks, chargers, cables and even to headphones. Each product is designed to help you get through your digitally connected day as smooth as possible. I absolutely love gadgets that make life easier, don't you? Like this desktop charger where you can charge all your gadgets, and do it quickly too! The new DC5QC 60W 12A DesktopQuick Charger from XPower not only features the new Type-C port, it also features 1 Quick Charge 3.0 port and 3 other Smart IC ports. 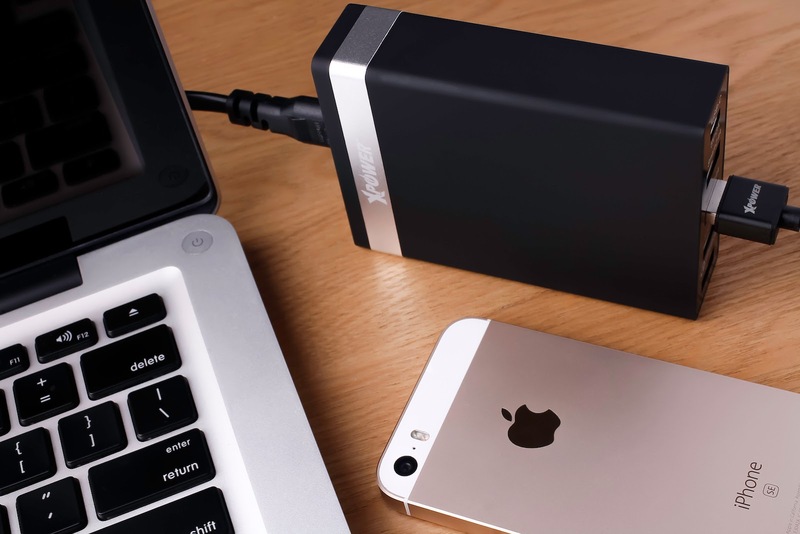 Now, that's a lot of power coming from a small desktop charger. The DC5QC 60W 12A DesktopQuick Charger is priced at Php 1,990.00. Are you always on the move and on the road? 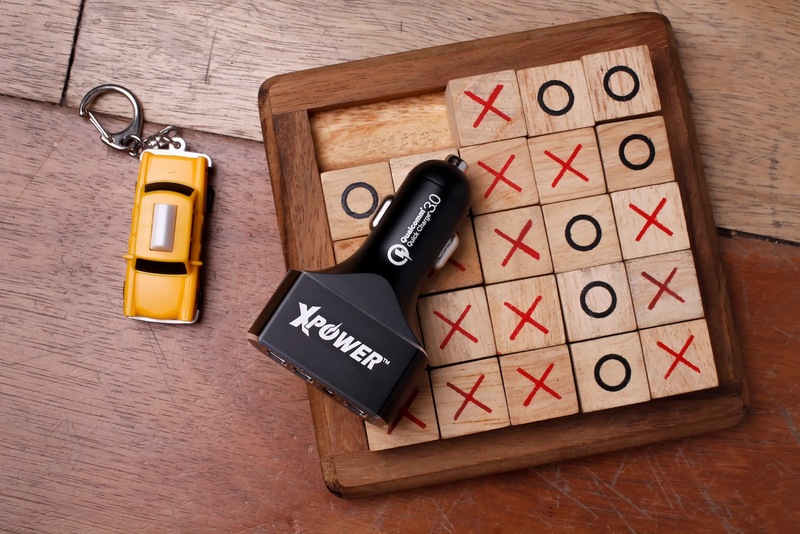 The Xpower CC4QC 47W Quick Charge 3.0 Type C Car Charger is a powerhouse charging machine and would be a great companion on the road. It is made with Qualcomm QC 3.0 technology, it charges 400% faster than a standard charger and equipped with 1 quick charge 3.0 port, 1 type C port and 2 smart IC port. Now, you can now take advantage of the long hours on the road by charging your devices in the car. It is made of Industry grade materials and premium circuitry ensure the safest charging experience at all times, to protect you, your device and property from short circuit, over-charge, over-discharge, overheat and overcurrent. The Quick Charge 3.0 Car Charger is priced at Php 1,290.00. Sometimes, it's not only about a good quality charger, but also about the components you use, such as the cables. It's always best to invest on a good quality cable to ensure that your gadgets would be fail safe especially when you most need it. The XPower 3-in-1 Aluminum Alloy Cable is made with top grade materials such as pure copper cable and a non-tearable Aluminum shield. It is built to be reliable and to fulfill all your USB connection needs without fail. 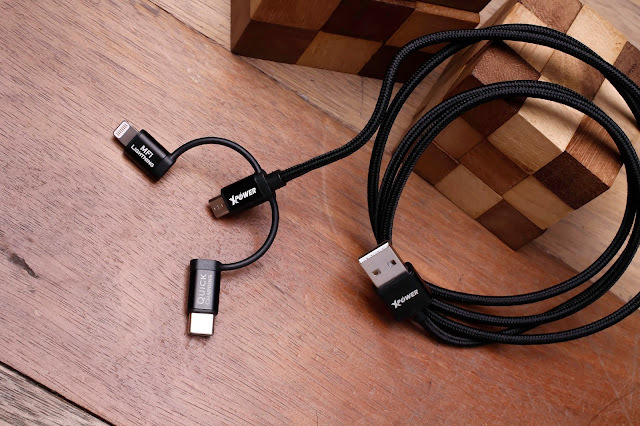 It’s handy to use, just use one cable three ways with a Type-C, Micro-USB and a Lightning connector, it enables you to connect for synchronizing and charging your gadgets all at the same time. Investing in one would be a great choice, plus in terms of safety, your gadgets would all be within your eyesight at all times. The Aluminium Alloy 3 in 1 Nylon Cable is priced at Php 1,490.00. 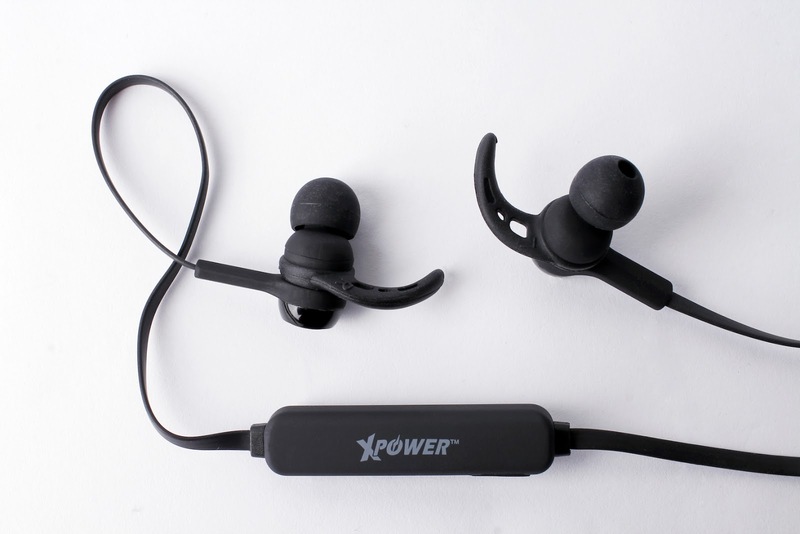 Made for those who have an active lifestyle, Xpower presents their BH1 Bluetooth Sport Headphones. They are small and incredibly light at 14g and it provides four hours of battery life for your easy listening experience. It is also made with a high performance stereo audio and magnet attraction design that one can wear around the neck, so that they don't dangle and get snagged or fall off and get damaged. The BH1 Bluetooth Sport Headphones is priced at Php 1,990.00. Everyone knows the fear of your phone battery running out midday, especially if you’re a power user. The Xpower PB12+ 2nd Gen Ultra High Speed Power Bank, is perfect for this. With three built in cables that cater to your different gadgets, this makes for one handy power bank. 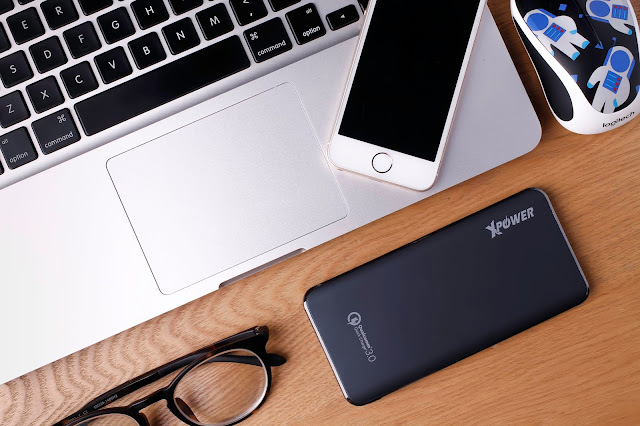 In addition to this, the XPower PB12+ 2nd Gen Ultra High Speed Power Bank is updated with a bigger power capacity to ensure fully charged devices. XPower Power Banks prices start at Php 1890.00. Everyone gets by with just a little bit of help, so don’t forget to check out the latest accessories from XPower!